COMMENTS ON INDIAN COMPANY LAW: Whether Insolvency and Bankruptcy Code, 2016 (Code) supersedes any State Law ? Held yes by Mumbai NCLT in ICICI Bank Ltd vs. Innoventive Industries Ltd. Whether Insolvency and Bankruptcy Code, 2016 (Code) supersedes any State Law ? Held yes by Mumbai NCLT in ICICI Bank Ltd vs. Innoventive Industries Ltd. Whether Insolvency and Bankruptcy Code, 2016 (Code) supersedes any State Law ? Held yes by Mumbai NCLT in ICICI Bank Ltd vs. Innoventive Industries Ltd.
ICICI bank has advanced term loan, working capital facilities and external commercial borrowing (ECB) to Innoventive Industries Ltd to the tune of Rs1, 019,177,034 as on 30th November, 2016. As there was a failure to repay the loan by the Innoventive industries , ICICI bank has initiated an insolvency proceeding under the Insolvency and Bankruptcy Code, 2016 for the realisation of money advanced to Innoventive and requested for an order of Moratorium. One of the most significant features of the Code is the grant of moratorium during which creditor action will be stayed. This is not automatic and has to be granted by the Adjudicating Authority at the time of admission of the corporate insolvency application. 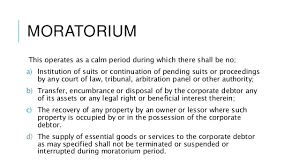 Moratorium shall continue till completion of corporate insolvency resolution process. · The recovery by an owner or lessor of any property in the possession of the debtor. Innoventive Industries argued that as they fell under the Maharashtra Relief Undertaking (Special Provisions) Act, 1958, they are entitled for a relief from any pending proceedings before any court, tribunal, and authorities. Innoventive Industries argued that the Maharashtra Relief Undertaking (Special Provisions) Act is armoured with non-obstante clause in section 4 with the overriding effect. 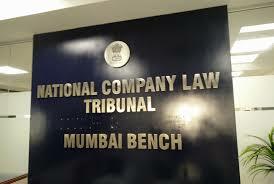 NCLT Mumbai bench viewed that since IBC 2016 (Code) has come into existence subsequent to Maharashtra Relief Undertaking (Special Provisions) Act, 1958, the non–obstante clause of the Code in section 238 thereof would prevail upon any other law for the time being in force, and it could not be said that the notification given under the Maharashtra Act would become a block to issue a direction under section 7. Furthermore, the goal and aim under the Maharashtra Act is to avert unemployment, and an order under section 7 of IBC code would not result in any obstacle to their employment until the next 180 days even if the Innoventive Industries goes into liquidation. NCLT viewed that the liability of the Innoventive Industries has been dealt with by the Maharashtra Relief Undertaking (Special Provisions) Act (MRU) and also by IBC but with diverse objectives , as the chief aim of MRU is to safeguard the interest of the employees whereas under IBC , it is to safeguard the interest of the creditors who have supplied fuel to the company to make it run. NCLT Mumbai bench observed that as the petition filed by the financial creditor is being complete, the same is accepted declaring moratorium with necessary directions.